With SynapseWebSolutions social networking solutions and appropriate technology, we enable the implementation of various initiatives of our clients and provide complete lifecycle support to succeed in long-term business. 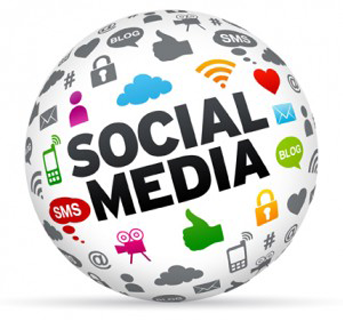 Integrate social network with the significant business practices to get the best possible results from it. Build relationships with customers on personal level. Provide excellent customer service by responding to customer queries, share information, resolve problems and create closely knit community with their customers. Decipher the flow of information through their companies and document them, to identify which departments and individuals are involved in particular activities. Have up-to-date knowledge that are crucial for the success of business and monitor, collect and compile all information. To differentiate and standout from other competitors. Keep in touch after meetings or conferences and continue the collaboration. Create an atmosphere of a collective whole with online social networking, by facilitating communication between different groups, build relationships and develop shared goals, after mergers or acquisitions. Establish an interconnected network with associated providers, especially small businesses and extract benefits, as good products are always the result of a big service chain. Using the online social network, for employees to seek each other, to get the relevant information and to reap the benefit from the expertise and experience of other employees. Interacting with or get to know others before meetings and conferences, which enable the participants to build relationships and make the meetings and conferences more productive.